Multiview LP - HC Information Resources Inc.
Water management plans, analytics, and training to help you effectively reduce risk and comply with ASHRAE 188, CMS, and other Legionella prevention regulations. We’ll walk you through our easy-to-use platform and help you determine the best program for your needs. Get started with access for 12 months for up to 7 users. Get answers fast. Browse short articles explaining Legionella control measures. Watch videos. Take e-Learning courses to earn certificates and enhance your credentials. Make smarter water management decisions quicker. Receive robust analytics with summary tables and graphical reports for Legionella, disinfectant, and temperature results. Receive comprehensive, defensible, and editable policies and procedures in the ASHRAE 188 framework, written by unbiased experts. 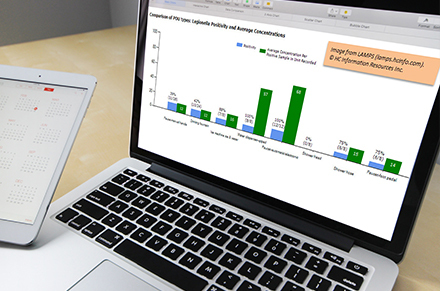 Save time with easy tools for updating, documenting, and reporting. To learn more about our products, request a FREE demo today! Our training content and water management programs are used by thousands of professionals, including some of the top water experts in the world, to prevent and solve Legionella problems in thousands of buildings. For more than 20 years, facility operators, health officials, water treatment specialists, risk managers, and safety consultants have relied on HC Info for education, training, and consulting that’s recognized by outside sources. We provide high quality at low prices because we have invested heavily in software and automation. We keep up-to-date with studies and apply the findings without bias. Because we don’t sell chemicals, equipment, or laboratory services, LAMPS content is unbiased. LAMPS includes tools that make it easier to carry out the plan—tools for easy editing, updating, training, documenting, and reporting. Easily manage user access and maintain consistency across multiple properties. Government entities, corporations with valuable brands, and large institutions trust LAMPS with their data. 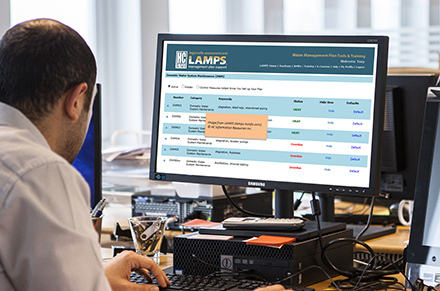 LAMPS resides on a Microsoft Azure Government cloud-hosted, FedRAMP-compliant server and has multiple security features. We’re here to help you reduce the risk of Legionella in your facility. Contact us today for a walkthrough of LAMPS! I will sure be recommending your LAMPS program! — Diane Miskowski, MPH, Legionella Subject Matter Expert at EMSL Analytical, Inc.
We’re dedicated to helping our customers reduce Legionella risk and stay compliant. That’s why we’ve created LAMPS. LAMPS is the culmination of 20-plus years of experience using scientific evidence to consult and train hospitals, manufacturing plants, commercial buildings, and other facilities to prevent and solve Legionella problems. 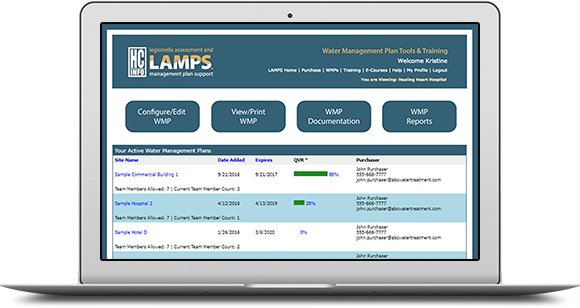 LAMPS was created because we saw a need for users to gain access to a centralized platform that contained all of the training, analytics, and water management plan content needed for a successful Legionella water management program. Upon its release in January 2016, the number of LAMPS users grew rapidly. Thousands of professionals have now used LAMPS for water management plans and have gone through the LAMPS training courses to increase their knowledge and enhance their credentials. 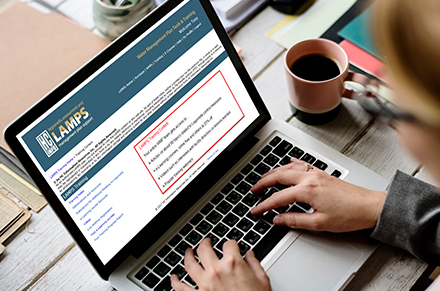 Having so many LAMPS users–including our network of WMP Partners covering the US, Canada, and several other countries–provides built-in peer review. We continuously improve the LAMPS content and functionality based on user feedback. Request a demo today to see how we can help you keep your water safe, reduce risk, and comply with safety regulations.